Chile isn’t the world’s top lithium producer, but it holds the largest lithium reserves by far. Learn which other countries have high reserves. Those interested in the lithium sector are often curious about which countries produce the most of the metal. Why? Because many major lithium-producing countries are home to a large number of lithium companies. What investors may not think to consider are lithium reserves by country. While many of the world’s top lithium-producing countries also hold significant reserves of the metal, some countries produce little lithium but have very large reserves. Investors may want to be aware of this second group of countries, as they could eventually become lithium powerhouses. On that note, here’s an overview of lithium reserves by country, with a focus on the four countries that hold the most lithium. Data is based on the most recent information from the US Geological Survey. Chile was second-biggest producer of lithium last year at 14,100 MT, but it has the most lithium reserves in the world by a large amount. The country reportedly holds most of the world’s “economically extractable” lithium reserves, while its Salar de Atacama hosts approximately 37 percent of the world’s lithium reserve base. SQM (NSYE:SQM) is a key lithium producer in Chile, and this year it finally reached a long-awaited agreement with Corfo, Chile’s development agency, over royalties. It’s expected that the company’s production will be positively impacted by this resolution. Albemarle (NYSE:ALB) is another top lithium producer in Chile, and the company expects its net sales to increase to between $3.3 and $3.5 billion in 2018. China holds lithium reserves of 3,200,000 MT, but last year it produced just 3,000 MT of the metal. That is a 30-percent increase in production from 2016, but currently the Asian nation still imports most of the lithium it needs from Australia. That said, the US Geological Survey notes that China is looking to expand its lithium output. The capacity of its lithium-ion battery megafactories is expected to grow by 51 percent between now and 2020, and by that time the country will also account for 62 percent of global lithium-ion battery production. In October, Tianqi Lithium (SZSE:002466) secured a deal to buy a US$4.1-billion stake in SQM. Many are now saying that China will be a force to be reckoned with in the space via its international holdings. Argentina is the third-largest lithium producer in the world, and last year it put out 5,500 MT of the metal, a small decrease from 5,800 MT in 2016. It also ranks third in lithium reserves in the world, at 2,000,000 MT. Putting that into perspective, the Financial Post notes that the country has enough lithium reserves to feed global demand for roughly 300 years. It’s also worth noting that Chile, Argentina and Bolivia comprise the “lithium triangle,” which hosts more than half of the world’s lithium reserves. However, while there is a great deal of lithium in the ground in Argentina, getting it out of there is another story, and this year some doubts were cast as on the country’s ability to harvest it economically. Only time will tell as this industry continues to heat up. Interestingly, while Australia was the largest lithium-producing country in the world in 2017, it is fourth in terms of reserves. The country is home to the Greenbushes lithium project, which is operated by Talison Lithium, a subsidiary jointly owned by the Tianqi Lithium and Albemarle. The project is known as the longest continuously operating mining area, having been in operation for over 25 years. There are multiple expansions going on at Greenbushes currently. 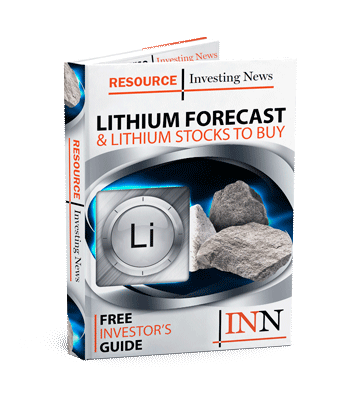 Overall, total worldwide lithium reserves stand 16,000,000 MT. If the metal continues to be as hot a commodity as it is today, perhaps some of these countries with high reserves will become more significant players. I see this same article floating around the internet constantly but it’s very incorrect. Bolivia actually has the largest reserves of lithium in the world, not Chile. Current estimates of Bolivian lithium reserves stand at 9,000,000 MT’s. Pentagon memo states Afghanistan may become the Saudi Arabia of lithium.